Former cricketer Greg Chappell captained Australia from 1975 to 1977, and again from 1979 until his retirement in 1984. The second of three brothers to play Test cricket, he is regarded as one of the greatest batsmen ever to play for Australia. Since his retirement as a player in 1984, Chappell has pursued various business and media interests while maintaining connections to professional cricket. 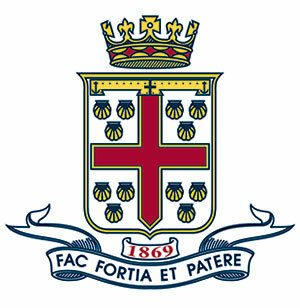 Greg, along with his two brothers, Ian and Trevor, attended Prince Alfred College. He was inducted into the Sport Australia Hall of Fame in 1986 and into the Australian Cricket Hall of Fame in 2002. David Giles began his teaching career as a primary school teacher in New Zealand. His belief that relationships drive education led him to work at a range of universities, including Bethlehem Institute of Education. His doctoral thesis focused on the importance of the teacher/student relationship. More recently, he has written extensively on relational leadership. The second edition of his book Teaching Within a Relational Approach to Educational Leadership was released in April 2016. 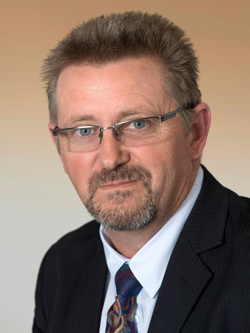 In February 2011, David was appointed Associate Professor in Leadership and Management at Flinders University and became Dean of the School of Education in 2012. He stepped down from that position in 2016. Teresa Janowski is the General Manager of NAMIG, the Northern Advanced Manufac-turing Industry Group. Since February 2013, Teresa has been the General Manager of STEM Nation, where she is responsible for working with industry and schools to deliver Science, Technology, Engineering and Maths (STEM) based projects at schools. Teresa has overseen the development of a suite of programs and activities, introducing a “product life cycle” approach to science, maths and technology education, thereby helping schools and students to develop the knowledge, understanding and appreciation of advanced manufacturing processes. In 2014 Teresa’s work with the STEM Sista program was recognised with a state government Future Innovators Award and in 2016 she launched STEM Mista, a professional development program for boys. The aim of the STEM Mista program is to help young men to realise they can be more and do more, and ultimately achieve the goals they set for them-selves in STEM related careers. Louka Parry is the Director of Programs at Education Changemakers (EC) and brings expert knowledge in school leadership, change management, and organizational culture. Louka holds two master's degrees, one in Applied Linguistics and one in Instructional Leadership from the University of Melbourne, and has also studied at Harvard. Louka has experience as a K-12 teacher, as well as a school principal and system leader in DECD in South Australia. He now leads EC’s global programs working with diverse audiences, including AITSL, Federal Treasury, BETT, the AFL, Social Ventures Australia, Apple, and Microsoft. 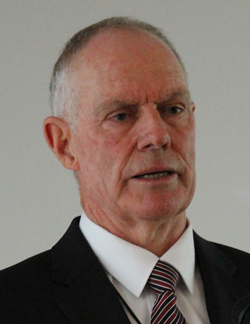 In 2012, he was named South Australian Inspirational Public Secondary Teacher of the Year. Tim Brenton is a co-founder of Connected Self, a South Australian-based organization that specializes in the delivery of well-being services. Tim also heads Rock & Water Central, which provides training across Australia in rock & water, an internationally recognized resilience and well-being program for children and young people. Tim is an international presenter of the training program and known for translating the program for children and young people who have been exposed to trauma, as well as embedding the program within the school context in Australia. As an 18-year-old basketball player, Tim attended the Australian Institute of Sport (AIS) on a two-year scholarship, turning down a scholarship to attend Gonzaga University in the United States, before playing professionally in the Australian National Basketball League (NBL) for four years. Tim has been at the forefront of co-developing programs and services that sit outside the conventional methods of service delivery. These include case management, therapeutic mentoring, art therapy, art-shaped pose (yoga and art therapy), mindfulness, and the rock & water program. In 2017, Tim has co-developed a new approach with the rock & water program integrated within 14 schools as part of a pilot initiative with the Department of Education and Child Development. On a personal note, Tim and his wife Lisa have been partners for 20 years and share the responsibility for raising two beautiful daughters, Hannah (16) and Abby (14).